Children who experience homelessness, child abuse and neglect, poverty or other similar situations are at greater risk for developmental delays and disabilities. While Virginia’s early intervention system does not serve at-risk children, many children who receive early intervention services experience these situations which may contribute to their developmental needs. It is important for service coordinators and service providers to be familiar with how these situations can impact early development, learning, and parent-child interactions. This page provides resources related to supporting children and families in challenging situations. This report documents the number of homeless children in every state, their well-being, their risk for child homelessness, and state level planning and policy activities. Preschool programs play a critical role in meeting homeless children’s need for quality early care and education. This brief provides information and suggests best practices to facilitate collaboration between schools, service provider agencies, and early childhood programs, and to increase the enrollment of and provision of services to families with young children experiencing homelessness. This guide this handbook is a working tool to help judges, advocates and child welfare professionals understand the questions to ask and the resources that can address the special needs of infants in foster care and strengthen their families. This fact sheet provides data on infants, toddlers and young children who are experiencing high stress as a result of a number of risk factors specifically identified in the Individuals with Disabilities Education Improvement Act of 2004 (IDEA 2004), including substantiated abuse or neglect, foster care placement, homelessness, exposure to family violence and prenatal exposure to drugs or alcohol. This brief emphasizes ways that families and shelter providers can encourage the development of young children and become aware of potential concerns. It provides resources and strategies to assist when delays are observed. This policy brief presents research findings that support the positive outcomes of early intervention on children from families who have lower incomes. This 2-page brief provides information on the relationship between poverty, parenting of young children, and attachment. This two-page document provides a succinct summary of federal policies related to the education of young children experiencing homelessness. The document includes information about the McKinney-Vento Homeless Assistance Act, the Head Start Act, and the Individuals with Disabilities Education Act (IDEA). This infographic shows how young children in poverty begin to develop gaps in their growth and development when compared with their peers beginning at birth. This factsheet provides information on how communities and individual citizens can strengthen families, protect children, and prevent child abuse and neglect. This brief provides educators with information, resources, and strategies for supporting families with young children who are experiencing homelessness and may have special needs. This factsheet outlines the legal definition of child abuse and neglect, the different types of abuse and neglect, and the signs and symptoms of abuse and neglect. Resources about the impact of trauma on well-being also are included. Corr, C., & Santos, R. M. (2016). Abuse and young children with disabilities: A review of the literature. (external website) Journal of Early Intervention, 39(1), 3-17. This article reviews the extent literature about abuse experienced by young children with disabilities. Themes across the literature are described, including the connection between children and families service by EI and child welfare systems. Holt, S., Buckley, H., & Sadhbh, W. (2008). The impact of exposure to domestic violence on children and young people: A review of the literature. (external website) Child Abuse & Neglect, 32, 797-810. This review finds that children and adolescents living with domestic violence are at increased risk of experiencing emotional, physical and sexual abuse, of developing emotional and behavioral problems and of increased exposure to the presence of other adversities in their lives. It also highlights a range of protective factors that can mitigate against this impact, in particular a strong relationship with and attachment to a caring adult, usually the mother. Richards, R., Merrill, R. M., & Baksh, L. (2014). Health behaviors and infant health outcomes in homeless pregnant women in the United States. (external website, pdf) Pediatrics, 128(3), e1-e9. This article describes an analysis of data from the Pregnancy Risk Assessment Monitoring System. Information is provided about demographics, maternal health behaviors, and infant health outcomes among homeless women in the US. Silver, J., & Dicker, S. (2007). Mental health assessment of infants in foster care. (external website, pdf) Child Welfare, 86(5), 35-55. This article presents practice guidelines for infant mental health evaluations with consideration of legal requirements and the unique issues conferred by foster care. Stirling, J., & Amaya-Jackson, L. (2008). 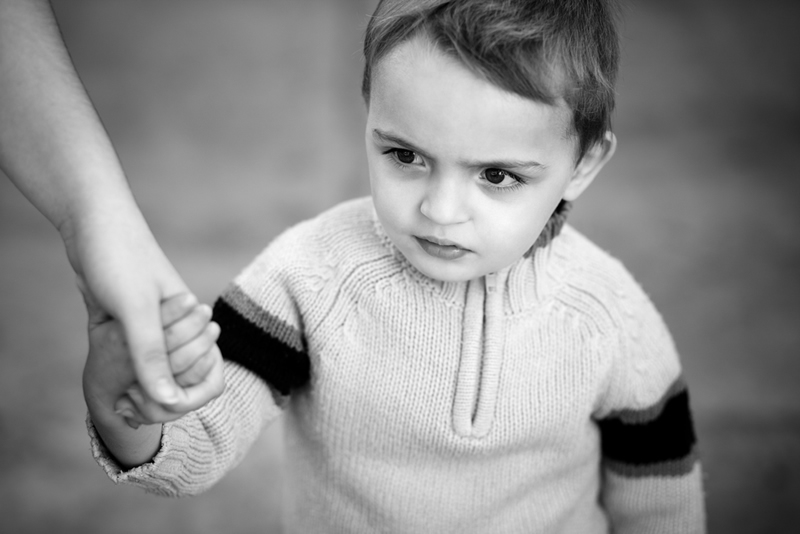 Understanding the behavioral and emotional consequences of child abuse. (external website) Pediatrics, 122(3), 667-673. This article describes how pediatricians can assist caregivers by helping them recognize the abused or neglected child's altered physiological responses, formulate more effective coping strategies, and mobilize available community resources. This information may also be useful to EI practitioners. This training module addresses three topics: recognizing child abuse and neglect – definitions and indicators; responding to suspected abuse or neglect; and what to do after making a report to Child Protective Services. Methamphetamine lab seizures are on the rise in the nation's cities and suburbs, raising new concerns about a lethal drug that has long been the scourge of rural America. We see stories on the news everyday about meth labs, but what does a meth lab look like and why is it so dangerous? Meth lab contaminated homes can potentially pose significant dangers to homeowners, occupants, and visitors. The long-term health effects caused by the residual chemicals from the meth 'cooking' process are just now beginning to be understood. What can you do to protect yourself in the event you accidentally encounter a meth lab during a home visit? This webinar will provide home visitors with knowledge they can use to recognize the signs of a meth lab and what can be done to minimize the dangers posed therein. Click the link above to visit the 2014 Talks on Tuesdays Archive and scroll down until you find the webinar. Families with young children are the fastest growing subpopulation of people in the United States experiencing homeless. Who is considered homeless? How many children are there in these unstable housing situations? What can early interventionists do to support these infants and toddlers and their families? This webinar will explore these questions to give EI practitioners tools and resources needed to better assist these families. Click the link above to visit the 2014 Talks on Tuesdays Archive and scroll down until you find the webinar. This webinar will offer facts about abuse and neglect as it relates to children with disabilities, how to recognize the red flags that abuse or neglect may be occurring, mandated reporting, and practical steps that you can take to recognize and respond to child abuse and neglect of children with disabilities. Click the link above to visit the 2014 Talks on Tuesdays Archive and scroll down until you find the webinar. This 3-part webinar series provide information about: 1) best practices with children with disabilities; 2) why children with disabilities are abused more frequently and how abuse of children with disabilities can differ from children who are typically developing; and 3) practical issues of recognizing and reporting abuse. To help educate policymakers and advocates about what it’s like to start life without a home, ZERO TO THREE has produced a short video with highlights from a recent Congressional briefing on supporting homeless infants and toddlers. Starting Life Without a Home calls attention to the negative effects of family homelessness upon the developmental needs of young children and presents examples of successful intervention programs. This site connects child welfare and related professionals to comprehensive information and resources to help protect children and strengthen families. We feature the latest on topics from prevention to permanency, including child abuse and neglect, foster care, and adoption. The NCCP is a public policy center dedicated to promoting the economic security, health, and well-being of low-income families and children. The website provides data tools young child risk and family income, state profile information, and a variety of searchable topics. The NCHE provides research, resources, and information enabling communities to address the educational needs of children experiencing homelessness. The Center also supports educators and service providers through producing training and awareness materials and providing training at regional and national conferences and events. Visit the site for issue briefs, archived webinars, print and online resources by topic, and Power Point presentations.